1. Build confidence by making a few easy sauces like a sweet and versatile cranberry sauce. 2. Don’t be afraid to make mistakes when you’re learning how to make sauce. 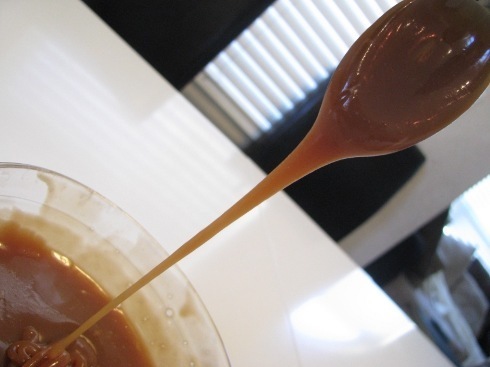 Learning by trial and error has worked for centuries, and it helped me learn how how to make caramel sauce. 3. Browse YouTube. It’s a gold mine of sauce-making info. I especially like Alton Brown’s run down of sauce making. 4. Don’t make it so complicated. Epicurious.com defines sauce this way: In the most basic terms, a sauce is a thickened, flavored liquid designed to accompany food in order to enhance and bring out its flavor. Sauce can be as simple as honey, barbecue, or even chili. 5. 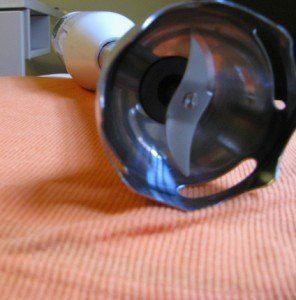 Invest in a food processor. It will make your life so much easier when it comes to sauce making. 6. Understand the basics of the mother sauces. Once you know the fundamentals, you can start experimenting and learn how to make countless sauces. The original four mother sauces include espagnole, demi-glace, béchamel, and velouté. 7. Do push ups every day. 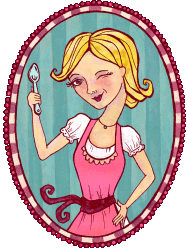 When you’re whisking béchamel sauce or mayonnaise your arms WILL get tired. 8. Learn to use a hand blender to make frothy sauces with texture. 9. When learning how to make a sauce recipe for the first time, why not buy a store bought version to compare flavors? 10. Get the right sauce-making tools in the kitchen. You’ll need a chef’s knife, butcher block, sauce pan, heat resistant spatula, and a fine-mesh strainer. 11. Temper your eggs before you add them to a warm sauce. Do the same for yogurt and other dairy products, too. 12. Don’t use a metal spatula, whisk, spoon, or any other metal utensil in your non-stick pans. Invest in a few good heat-resistant utensils that won’t scratch surfaces. 13. Never walk away from a caramel sauce. 14. When making a marsala sauce, don’t use a non-stick skillet. You want some of your meat and veggies to stick to the pan, so you can effectively deglaze the pan with your marsala. 15. Always make your own hollandaise, pesto, and enchilada sauce. The store bought stuff won’t taste half as good. 16. Some sauces are worth buying, including fish sauce, hot sauce, and barbecue sauce. 17. Learn the sauce-making lingo. Check out the Saucy Dipper’s sauce and dip dictionary. 19. According to Gayler in The Sauce Book, a tablespoon of soy sauce will add color to a pale sauce, and a spoonful of red currant jelly will take a “sharp edge off a sauce.” Soy sauce works as both a preservative and flavor enhancer, too. 20. Many sauces call for a squeeze of lemon, Kosher salt, and fresh ground black pepper. Keep all on hand at all times. 21. Purchase only high-quality, organic stocks or learn how to make your own stock. 22. Don’t add ingredients to a sauce for the sake of embellishment. Sometimes a sauce with four ingredients will taste better than a sauce with 12. Think simple. 23. An emulsion is the combination of oil and water. If you create an emulsion that later breaks, you can choose to repair it with ice cubes (if it’s a hot sauce) or with hot water (if it’s a cold sauce). 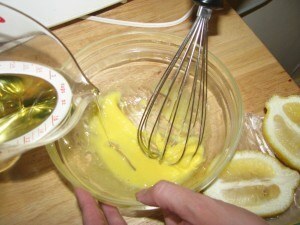 Depending on the type of sauce you can also add softened butter or egg yolk as you whisk to fix a broken emulsion. Last, many chefs recommend you just start over. 24. Compared to dips, sauces tend to have a more concentrated flavor. This means you shouldn’t need a lot of sauce to complement the meat or pasta you’re serving. You can always add more later. 25. A roux is the starting place for many sauces. In simple terms, it’s equal parts fat and flour heated in a sauce pan until you smell the flour cooking. The longer you cook the roux the darker the color and the nuttier the flavor you’ll get in the end. Chefs recommend you always cook for a little longer than you think you need. 26. Be careful not to oversalt. Remember, butter and stock may have salt already in them, so go slow on the salt from the start. 27. If you add too much acid to a sauce, add sugar or honey for balance. 28. If you add too much spice to a sauce, add a heartier herb for balance. 29. If your sauce is just too strong, add water and adjust seasonings to balance. 30. If your sauce is too runny, make a roux to thicken it up. 31. Don’t make a sauce simply to decorate a plate. Always make the sauce an important part of the meal. 32. Always save the juices leftover after roasting meat. 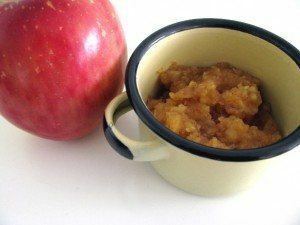 The juices are a great start for gravies, sauces, and soups. 33. Same goes for pasta sauces. Try cooking your noodles in less water and keep the starchy water for use in a flavorful pasta sauce. 34. Go green. Don’t throw any food away! Use the bits left behind in the pan, all the leftover grease, and the veggie trimmings to make great sauces or to make a vegetable stock. 35. A proper demi takes around 36 hours to make. Next time you go out and see this on the menu, order it. 36. If you decide to add dairy when making a velouté do so at the end. 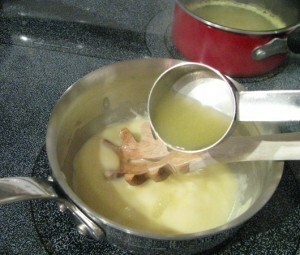 Use less dairy than you think you need…maybe a couple of tablespoons of cream at the end if you want a smoother sauce. 37. Prepare béchamel over low heat and hollandaise on and off of low heat. Move the pan back and forth and on and off the heat for periods of time. 38. Tomato sauce will go great with most anything, not just pasta. Don’t limit yourself. 39. It can be argued that sauces define a culture. Explore Latin sauces, Asian sauces, and other cuisines. Remember, we think of the French mother sauces as the end all be all, but that’s just not true. 40. You don’t sharpen a knife; you straighten a knife. Invest in a quality chef’s knife and care for it by hand washing it and straightening it often. 41. Many say that you must make your own vegetable stock and forgo that icky store-bought stock. It’s up for you to decide what you like best, but you should first try making homemade vegetable stock to know for sure. 42. Kosher salt and sea salt have similar qualities. Use the more expensive sea salt to finish a sauce, but the less expensive kosher salt while you’re cooking. 43. There are hundreds, possibly thousands, of variations of barbecue sauce–Kansas City barbecue sauce, North Carolina barbecue sauce, Memphis barbecue sauce, etc. When you’re learning how to make barbecue sauce try a few and decide which variation you like best. 44. 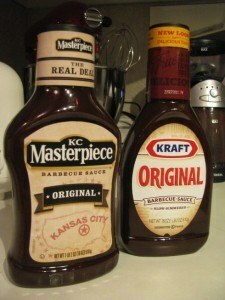 Check the label on all store-bought barbecue sauce. The amount of corn syrup can be frightful. 45. Don’t leave your au jus on the counter. You must refrigerate au jus ASAP. 46. If you don’t know how to make a bolognese sauce, learn. It’s an easy, healthful sauce you can make quick. 47. The more a sauce reduces, the more flavorful it will be. Try reduction instead of adding more salt and pepper. 48. The larger the saute pan the more surface area that your sauce has on the heat, which means it will reduce faster. 49. You know a sauce has reached the right consistency when it coats the back of a spoon. 50. To learn how to make sauce take a cooking class in your town and in the places you visit…like this Thai cooking class where I made chicken curry sauce. 51. Fruit sauces are simple. They really only require heat and sugar, and fruit sauces taste much better than maple syrup on your pancakes. 52. Always err on the side of spice. 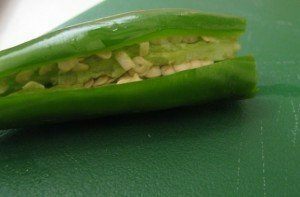 A jalapeño or Serrano pepper can do a world of good for a sauce. Don’t forget to wear gloves when you chop those peppers. And one more thing…if you want more heat, throw a few pepper seeds into your sauce. More seeds equal more spice. 53. Honey mustard sauce is one of the simplest sauces to learn how to make. Plus, honey mustard sauce is hugely popular. Add this honey mustard sauce recipe to your recipe box. 54. Canned tomatoes might save you money, but is it worth it when you’re making sauce? Try making tomato sauce a number of ways to decide what you like best. Besides, learning how to make tomato sauce is essential. 55. Write the date you buy your spices on the container. Spices lose their oomph after time. 56. Cucumber is a common base ingredient of a few sauces, including tzatziki. It’s a runny one, so make cucumber sauce a dipping sauce as opposed to a finishing sauce. 57. You know you still like macaroni and cheese…don’t deny it. Remove the guilt from eating this comfort food by learning how to make your own mornay sauce. It’s a classic and makes a meal. 58. Let the season inspire you. Every time of year has produce/flavors to go along with it. In the fall I like apple and pumpkin sauces.